Your donations support and supply the Baale Parwaz Library كتابخانه بالِِِ پرواز, providing the community access to the transforming power of books. Why a library? Why books? Decades of war and a lack of funds have left a once flourishing Afghan reading culture in ruins. With a population of 30+ million people, there are only 6 trained librarians and the one public library in the Capital City of Kabul is only partially functional. Unlike U.S public schools, school libraries are not typical in Afghan Public Schools and library time is not part of the curriculum. 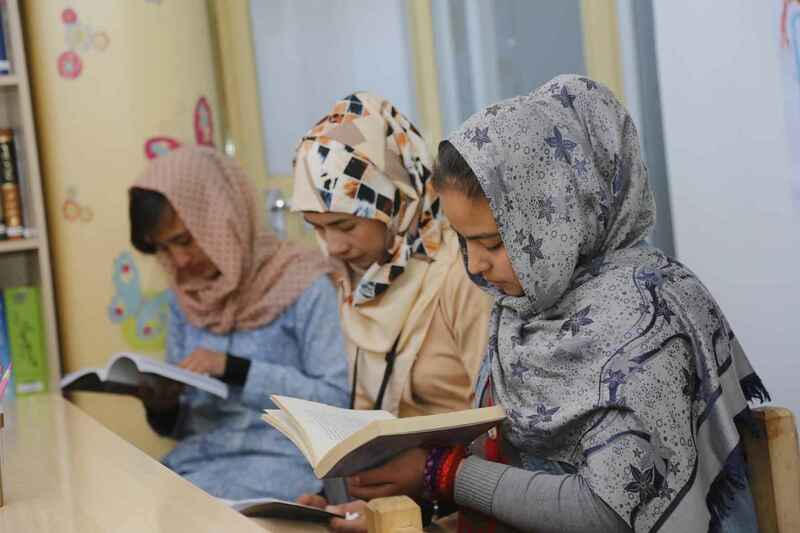 As a response, the Baale Parwaz Library was founded in the summer of 2016 through the hard work Sajia Darwish, the mentoring of board member Joe Highland and the financial support of the Afghan Girls Financial Assistance Fund. In the summer of 2017, the library doubled in size and today offers a variety of classes and discussion groups in Farsi and English. Every day the library services hundreds of students and teachers. The library is not only a school resource but serves the entire community through outreach programs, and reading and writing classes. "تا روز شگفتن بذر عشق به خواندن ما را همکار باشید!" با اهدای مالی تان کتابخانه را حمایت نموده، دسترسی به کتاب را برای جامعه افغان تأمین نمایید. کتابخانه بال پرواز در تابستان سال ۲۰۱۶ با زحمات سجیه درویش، تحت نظر عضو بورد جوسف هایلند و با حمایت مالی موسسه AGFAF تاسیس گردیده و در تابستان سال ۲۰۱۷ وسعت داده شد. امروز صنف های متعدد و گروه های کتابخوانی فارسی و انگلیسی را ارایه میدهد و روزانه صدها شاگرد و معلم هم از بیرون و داخل مکتب ازاین خدمات مستفید میگردند. As an alumnae of Mount Holyoke College I was inspired to read about Sajia Darwish's work.